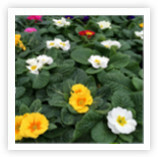 Wholesale Nursery, bedding plants | Bell Brothers Nurseries. We are a market leader in the supply of Plants for your Home and Garden. We pride ourselves in the quality of our products and the way they are produced.